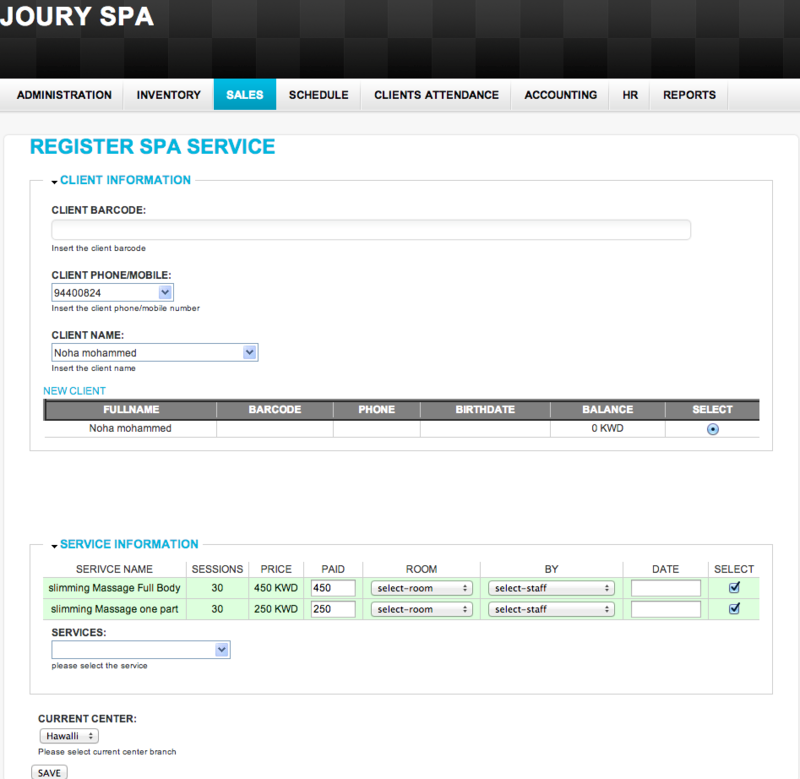 Jouryspa is widely known in Kuwait city. 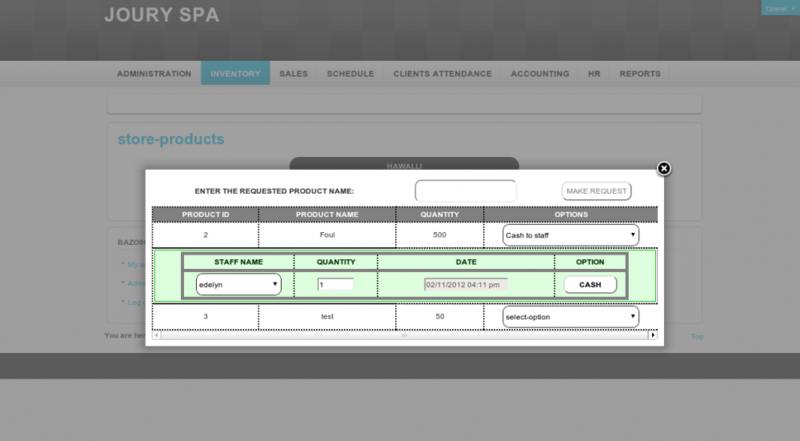 I created a complete management system for jouryspa, which facilitate the process of managing products, clients, incomes and services. 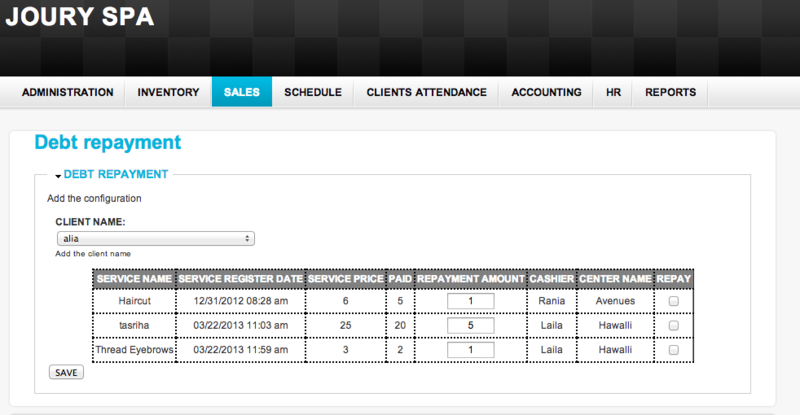 This management system is custom made for Joury.